The pressure on the Federal Government to end the detention of children and families intensified this week with two peak medical groups publicly calling for an end to this policy. Both the Australian Medical Association (AMA) and the Royal Australasian College of Physicians (RACP) have based their positions on this important human rights issue on evidence of the physical and psychological harms that result from being held in detention for extended periods. These groups join other health and medical groups which have already stated their opposition to Australia’s refugee policy, including the Public Health Association of Australia (PHAA) and the Australian College of Rural and Remote Medicine (ACRRM). The statements are summarised below. The AMA President, Dr Tony Bartone, wrote to Prime Minister Scott Morrison demanding that the Government move asylum seeker children and their families off Nauru to more appropriate settings for their deteriorating physical and mental health and wellbeing, preferably in Australia. The AMA wants to see a more compassionate Government approach to the health care of refugees and asylum seekers in the care of the Australian Government. Dr Bartone said there had been a recent groundswell of concern and agitation across the AMA membership and the medical profession about conditions on Nauru and the escalation in reports of catastrophic mental and physical health conditions being experienced by the asylum seekers, especially children. “The AMA and the medical profession are demanding a change of policy – a change of policy that reflects community concern for the health of asylum seekers,” Dr Bartone said. The RACP joined the call for an end to the detention of children by singing on to the ‘Kids Off Nauru’ campaign, urging the Australian Parliament to act on their duty of care and immediately transfer all refugee and asylum seeker children and their families from Nauru to Australia. The RACP stated that children and their families in detention need an urgent assessment in a specialist tertiary level child health facility, where their medical, developmental and social-emotional (psychiatric) health can be assessed and treated in accordance with specialist recommendations. They also oppose separating children from their family and carers when one family member requires specialist medical attention. 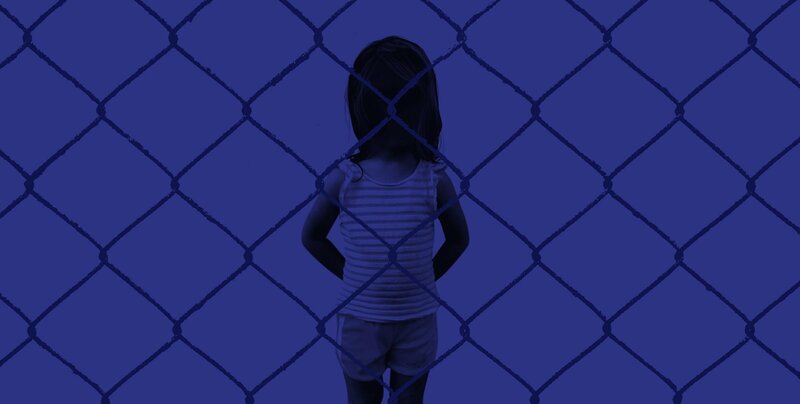 The RACP’s Refugee and Asylum Seeker Health Position Statement sets out a strong evidence-based opposition to immigration detention, particularly of children, and the need to ensure access to quality health care. The Position Statement has been endorsed by 14 medical and nursing colleges and peak health organisations across Australasia. “This is a medical emergency,” said Professor Paul Colditz, a paediatrician and President of the Paediatrics and Child Health Division within the RACP. “As doctors we have compelling evidence that detention and uncertainty is damaging to people’s health and wellbeing and that this damage can be severe and lifelong. “This is especially the case for children, who are very vulnerable to their parents’ mental health and negative, unsafe environments. “There is an immediate risk of severe health consequences and we have already seen over a dozen children evacuated to Australia with extreme ill health. This includes inadequately treated medical conditions, trauma related symptoms such as severe withdrawal and refusing to eat or drink and self-harm. “To see such symptoms in children is an indication of the untenable conditions in which they are living. The RACP calls on the government to address this health crisis and bring the remaining children and their families to appropriate healthcare and safety as a matter of urgency.” Professor Colditz said. As part of the AMA’s campaign to end the detention of children and families, Dr Bartone has written to all MPs and Senators urging support and advocacy for the AMA position, Dr Bartone reminded politicians that, in April 2017, the Senate Legal and Constitutional Affairs Committee released the report of its inquiry into asylum seekers on Nauru. ACRRM has also supported the AMA and RACP’s call to end detention for children and families, stating “The Australian College of Rural and Remote Medicine (ACRRM) has joined other medical Colleges and stakeholders in calling on the Australian Government to urgently transfer refugee and asylum seeker children and their families from Nauru to Australia for appropriate medical assessment and treatment.